So you’ve decided to build a React app. It has a few screens, so you need a router. 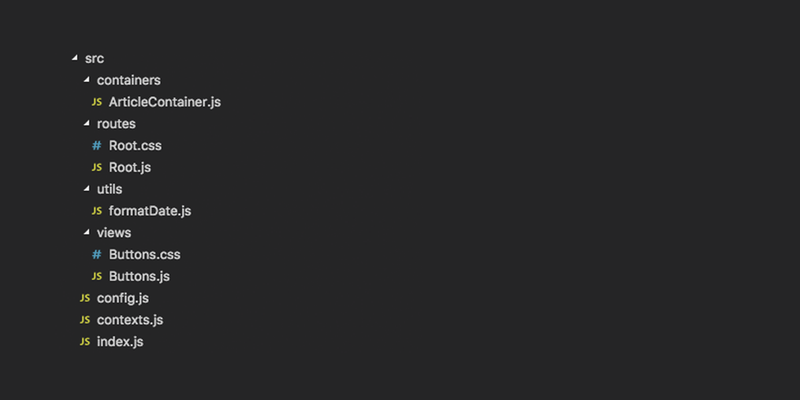 And react-router seems pretty popular, so you npm install it and put together a quick demo. Everything seems fine and dandy! Or it did, until you googled for some docs the next day. Something seems off. The logo has changed colour from blue to red. And the version number has mysteriously increased from 2 to 4. Huh? And while it is true that typeof x === typeof (x), the same doesn’t always hold for return. Why? Yes, the app was basically wearing its birthday suit. And yes, the app did contain state. But no, the state wasn’t in the props – and it wasn’t component state either. State of React #1: A Stateless React App? Have you ever been frustrated with the task of making loading spinners appear at the right time? Or maybe you’ve had trouble making a popup appear when and where you want it? These are both signs that your code suffers from unmanaged state — the bane of basically every web developer on the planet. And luckily, the React ecosystem is brimming with tools to help. Redux, MobX, Flux and RxJS are just a few. And while they have a number of things in common (including for some reason the letter “x”), the one which stands out the most is that they just convert the problem of “managing” state into the problem of “structuring it”. But if it seems that there is no way to dull the state of pain, it begs the question — instead of managing our state, why don’t we just avoid it? So you heard React was fast, and decided to give it a go. You grabbed a boilerplate, started working through it, and noticed shouldComponentUpdate and PureRenderMixin. Some googling reveals these are the things you use to make React fast. But wasn’t React already fast? The answer is that React is fast… sometimes. The other times, you should use shouldComponentUpdate. But when are the other times? Wouldn’t it be so much easier if there was just a simple yes-no question which you could ask to decide whether to use shouldComponentUpdate or not? And wouldn’t you believe it, there is!